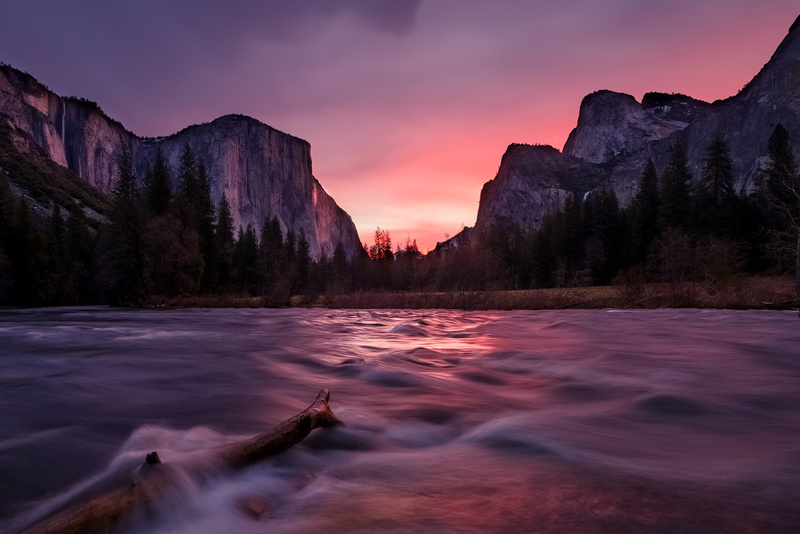 Photographer Steven Luu visited El Capitan at Yosemite National Park anticipating an overcast sunrise but was instead surprised with this beautiful sight. Just look at those colors! He used a Fuji X-T2 camera at ISO 200, f/11, and 1/8 second. What started as an overcast dusk slowly developed into this colorful scene. Since Luu arrived early, he was able to pick out this spot as his setting. The mountains frame the sunrise nicely, and the log disrupting the flow of water creates an interesting foreground. This definitely looks like it was worth the patience!